Tired of looking over the vast dullness of your driveway every single day? Perhaps it’s time to add a little more color and design to it. Turn your concrete driveway from boring to exciting without having to renovate all over again. Bring elegance and style into your driveway with WizCrete’s concrete resurfacing services. Get the designs and colors that you want for your driveways, poolside areas, patios, and other concrete surfaces. While concrete may normally look as dull, gray slabs of cement, they can still make your driveways and concrete surfaces look great and add value to your home without having to spend too much on the cost of labor and materials. WizCrete uses innovative concrete resurfacing methods such as stenciling, etching, stamping, and coloring techniques that can create a wide range of beautiful designs that will definitely suit your homes. 1. We want you to be happy. WizCrete guarantees that you will get the color and design that you truly want for your driveway, and that we will not rest until you are happy with the results of the concrete resurfacing that we have done on your home. 2. We want you to be satisfied. WizCrete guarantees that we will personally shoulder all costs for you to get another concrete solutions company of your choice in the unlikely event that we will not be able to deliver the quality services that we had promised you. 3. We want you to be safe. WizCrete’s concrete resurfacing projects are all guaranteed with a five-year warranty, and we will be willing to take action in repairing your surfaces for free in the unlikely event that signs of wear and tear such as cracks and damage will show up during the said period. WizCrete’s amazing triple guarantee offer will make sure that you will get the best quality concrete resurfacing works at your preferred designs. We also want you to get the best value for your money while enjoying the exquisite elegance of your driveways and patios. 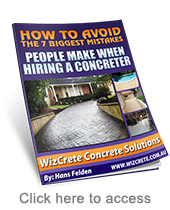 For more information on our concrete resurfacing services, you can visit our website at Wizcrete.com.au or give us a ring at (02) 9499-4745, and we’ll give you a free quote on your project. WizCrete presents you the top 3 reasons why you should consider concrete resurfacing in your driveway. Let’s get started! Concrete resurfacing gives you the liberty to give your driveway a whole different look without having to do a major renovation or making you get rid of your old driveway. In fact, it can be done without your driveway having the need to be repaired and simply because you want a new look. Concrete resurfacing can save you big money if your driveway is in major need of repair. All driveways, no matter what material they are made of break or crack at some point; be it because of the weather or frequent use of your driveway, eventually you will need to do some fix-ups to your driveway and while you’re at it, why not add character and style to your driveway without having to spend the same amount of money as if you were to completely re-do the paving. Very rarely do you hear of anyone who wouldn’t like to add curve appeal and value to their home, you know why? Because there isn’t anyone who wouldn’t like to add value to their home! The change of image that a house has when a fresh driveway has been done is just unbelievable. It changes the whole look of the house and adds immense character to any home. For homeowners who are looking into selling their house, this is a great way to add value to your home and change the image of any house without having to spend big money on renovations – what else could you ask for? 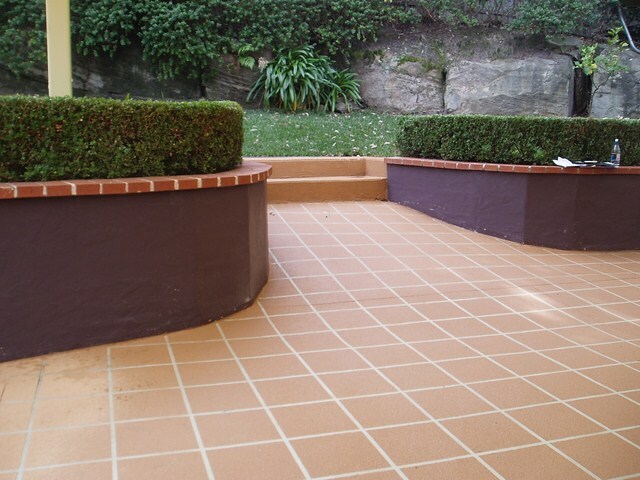 As you see there is no doubt why concrete resurfacing is the best choice for Australian homes. You earn money by adding value to your home, you save money by not having to make any major renovations and you can give your home a change of image in an affordable way that could benefit you and your home financially. Think of concrete resurfacing as an investment and see what great advantages you can obtain from this change. For more tips and information, visit our WizCrete experts in our offices or simply give us a call. Our representatives are enthusiastic to hear from you. Happy make-overs! Got holes and cracks on your driveway? Wizcrete can help you give your driveway a little more than a fix-up and will provide you with great professional service, a team of experts in concrete resurfacing to take care of your driveway and your satisfaction guaranteed. 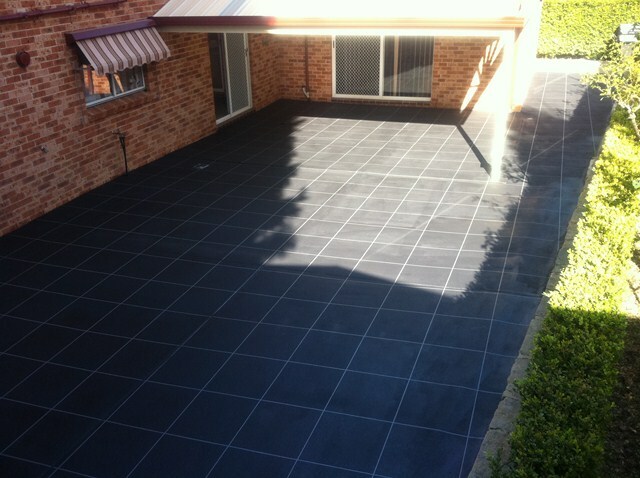 To give your driveway a whole new look, while repairing cracks and holes in your existing driveway. This method of driveway repair is just perfect if you either want to keep the same image and do a simple fix-me-up or if you want to change the image of your driveway completely without having to spend a lot. We stay true to our service and no matter what your reason is for concrete resurfacing, Wizcrete will help you obtain a fabulous driveway that you will be more than proud of. And it doesn’t end just at the repairs, Wizcrete does such a good job that the impeccable look we add to your driveway gives your home a generous increase of value for very little investment into doing the concrete repair. We know how important curve appeal is and embrace how strong having the perfect driveway is in any home by providing you with only the best materials in the market to build your driveway and professionals to do the paving so that you have the best possible results. Forget expensive full renovations or having your existing pavement taken off to be re-done, this is the best option to spruce up your driveway in an affordable, stylish and durable way. There is no question about it, you just have to call Wizcrete and see what we have to offer. For more information about concrete resurfacing, contact our team of friendly experts at Wizcrete, who will advice you in the best possible manner and will help you understand the process thoroughly. We offer FREE QUOTES to all of your clients and offer great prices for all of our services. Give us a call today to talk with one of our representatives; our number is 02 9499 4745. We always have friendly staff ready to answer your call and all of your enquiries, contact us today! Don’t believe you can add value to your home in an affordable way? Wizcrete has the secrets to raising the value of your home in the most affordable way possible. Still don’t believe it? Keep reading and find out our most valuable secrets. It’s the key to selling a home and the key to how much you can get for your home, that’s right, we’re talking about curve appeal. Any real state realtor will always express the importance of curve appeal before you put your home in the market because this is the first thing that a home buyer sees while they are house hunting. This doesn’t just go to the perspective future owners of your home, it goes for neighbours as well. Neighbours may only know what the outside of your house looks like, so if you keep your home’s appearance well-kept and tidy, your neighbours are sure to put a good word for you in case your future home owners like to ask around about the house before making a purchase. Let’s face it, if you are here, it’s because your driveway has some issues that need to be repaired. Concrete resurfacing not only repairs the damage, but it also gives your home a whole new image! You wouldn’t believe the huge difference it makes to have a well-done driveway until you see it with your own eyes. Now imagine upgrading your current driveway from dull and boring to a stylish facade with much more intricate patterns and a clean and sleek finish. Upgrades are always good and welcome and not only when it comes to mobile phones, so consider this concrete resurfacing for a new image and the repair of your driveway. You know that in the real estate business it’s all about a pretty face, so give your home a new image and get big money in return for your investment. You can’t get it wrong with sprucing up your home a little bit, especially if you are thinking about selling your home. WizCrete will help you get it right and provide you with professional service you need to put your driveway in top shape and turn it into something all of your neighbours and relatives will want to have in their home. We have a friendly team, professional service and provide amazing results, call us today! Renovation is not just for the walls of your home, it can also be done to your driveway! layer of concrete to enhance the durability of any concrete sidewalk, driveway or foot path. qualified to assist you in any subject pertaining our services, materials and products. would like to have done, call us on (02) 9499 4745 for a free quote with no obligation today! As time passes, concrete deteriorates and it will be discoloured stained, cracked, weakened, and chipped. A lot of factors contribute to the deterioration of concrete. Among these factors are weather, moisture, freezing and thawing, as well as earthquakes. These are common factors of concrete deterioration, and in order to maintain or improve the quality of your cement, you need cement resurfacing. What is concrete resurfacing? Concrete resurfacing is popular among home owners, because it makes old concrete new and better for a lower price compared to cementing the area all over again. This project is not new; there are a lot of companies that offer concrete resurfacing nowadays; we, at Wizcrete, are one of those companies. Concrete resurfacing is commonly used in public highways, and bridges. The products required for the concrete resurfacing services is usually covered by us. The concrete used by most companies is too thin to cover serious holes and will wear off easily; if you want perfect quality, you can come to us or you can buy your own ingredients that will satisfy your wants. You just need a cement, fine sand, and water. If the layer will be thicker than an inch you will need small pea gravel for the cement mix. Thick concrete resurfacing covers deep holes or old spots in concrete. Follow these to make your concrete resurfacing last longer. Before the resurfacing project, you must remove all loose concrete and thoroughly clean the concrete surface. Damp the old concrete and apply a thin layer of cement before applying the actual cement mix for the concrete resurfacing. We, at Wizcrete, are professionally knowledgeable of all the things to be done in order to provide magnificent concrete resurfacing services. We know that you can also improve the style of your concrete by changing the style and color. It is usually provided by our company. However, you can also buy your own materials for concrete resurfacing. You can do concrete resurfacing on your own if it is only on a small scale. However, since it is not professionally done, you are sure to get the job wrong. You surely can save a lot of money from this, but you need a lot of construction materials for you to resurface your concrete and be satisfied with the results. Our company offers concrete resurfacing at a low and affordable price. You will have a lot of options of colors and styles to choose from. So if you want a professionally-done concrete resurfacing job, it is best to contact our company.